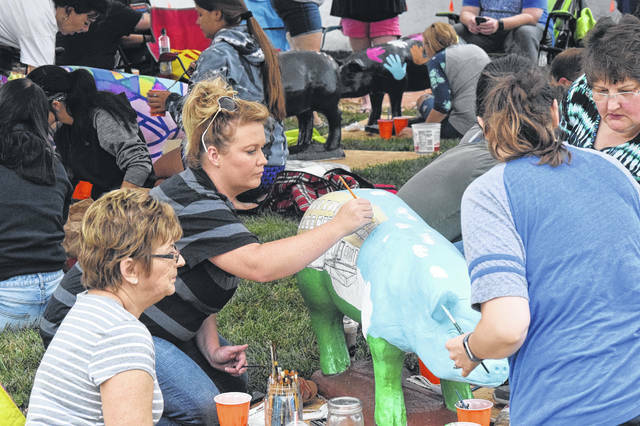 Cars of all sorts lined Main Street, while participants in Oinkers for Art sat up on the Preble County Courthouse Lawn to paint their ceramic pigs. 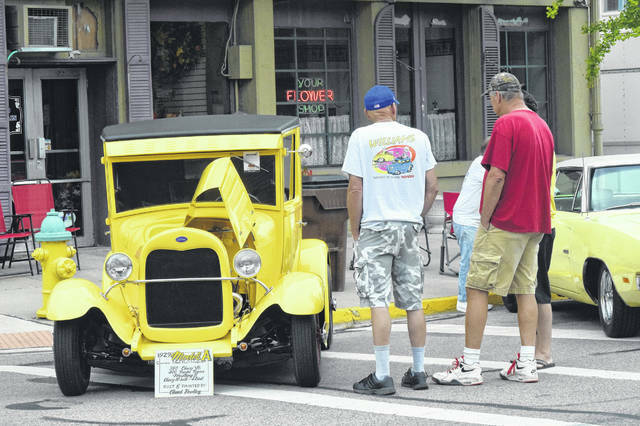 Downtown Eaton Inc. celebrated the 20th anniversary of the Old Fashioned Downtown Saturday Night on Saturday, Aug. 25. 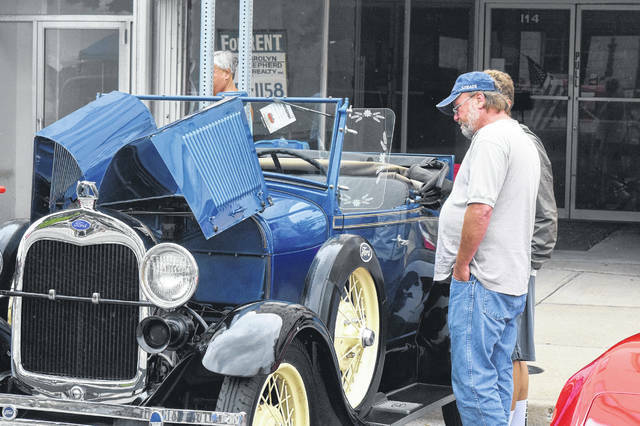 EATON — Downtown Eaton Inc. celebrated the 20th anniversary of the Old Fashioned Downtown Saturday Night Car Show this past weekend. 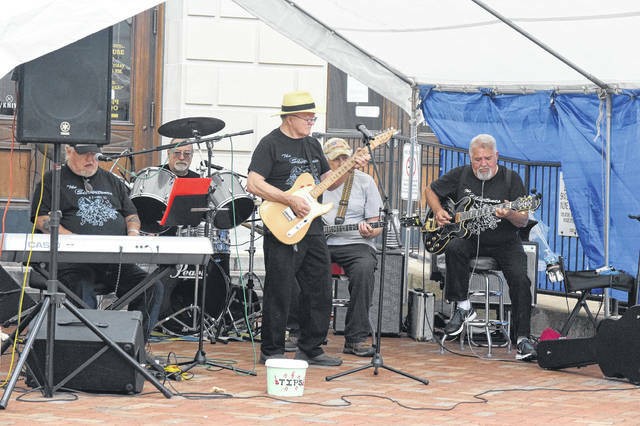 The event was held on Saturday, Aug. 25. 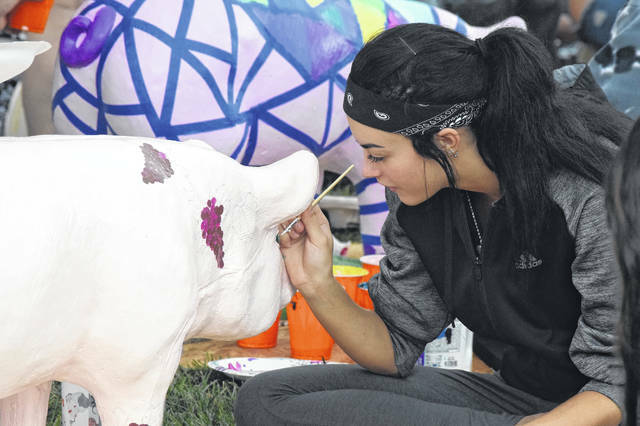 Cars of all sorts lined Main Street, while participants in Oinkers for Art sat up on the Preble County Courthouse Lawn to paint their ceramic pigs. 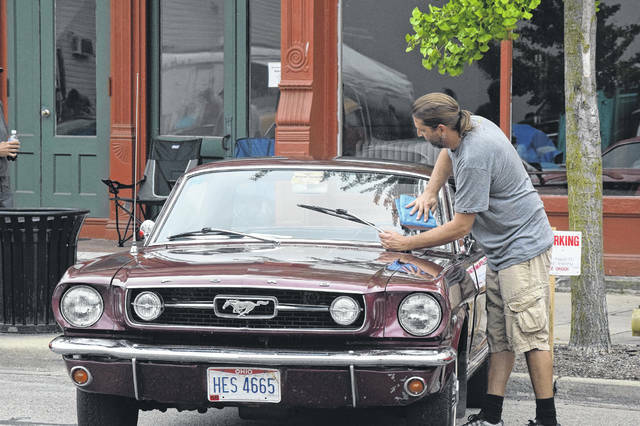 “This is our 20th anniversary. 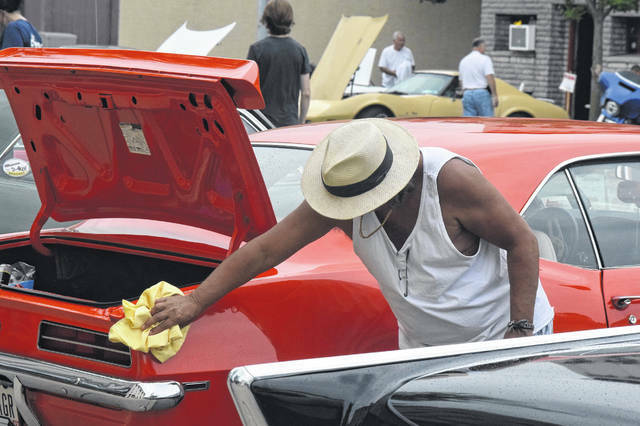 There was a car club that took a cruise-in from an old malt shop here on the block and expanded it into a car show. 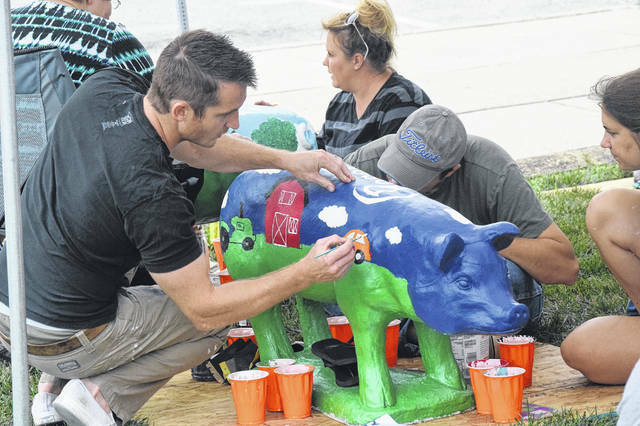 That group also had some members of Downtown Eaton Inc.,” Downtown Eaton Inc. President Chris Miley said. 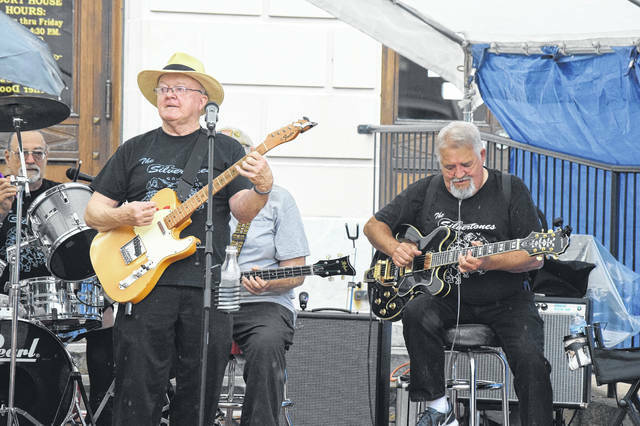 To celebrate the 20th anniversary, the group brought two bands instead of one, so there would be music for the entire show. 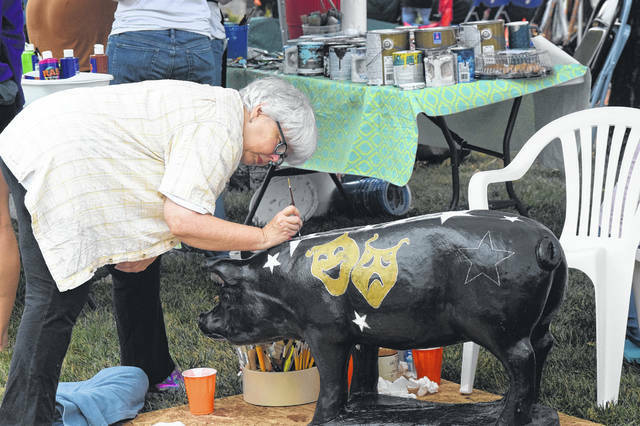 They also had a commemorative knife engraved with DEI and the date of the 20th anniversary for raffle. 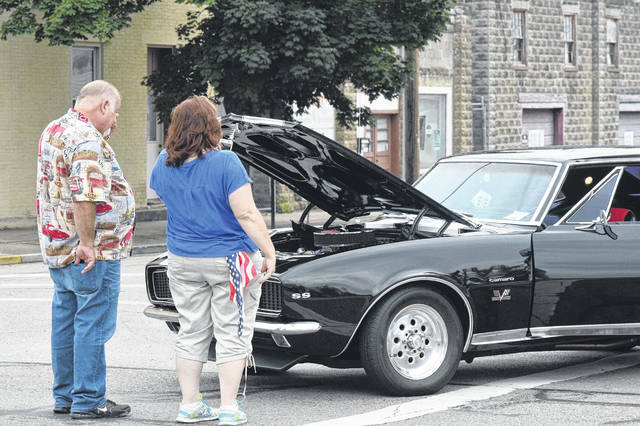 Other than those changes, the car show was the same as it is every year, with the same intention to draw in patrons for the downtown businesses. 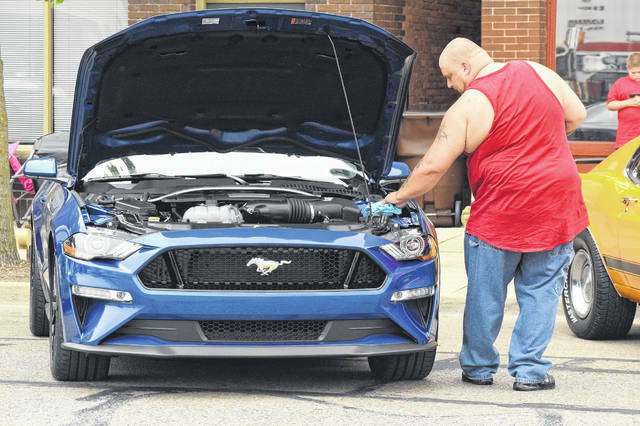 “That is the idea of the car show — I try to get as many businesses as I can downtown to stay open and this car show will draw the business to them. 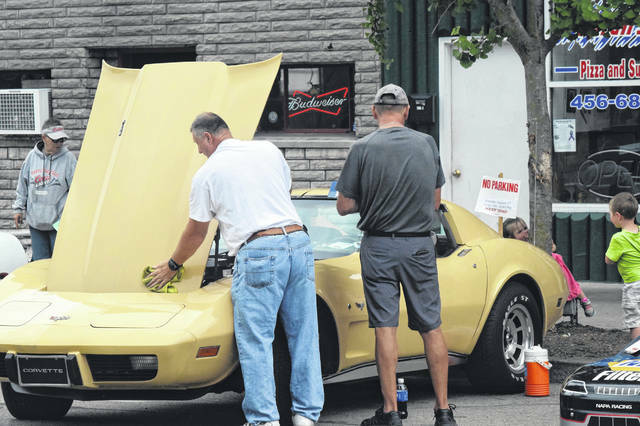 They might not buy today, but they’ll see the business and maybe they will see something to come buy later,” he said. 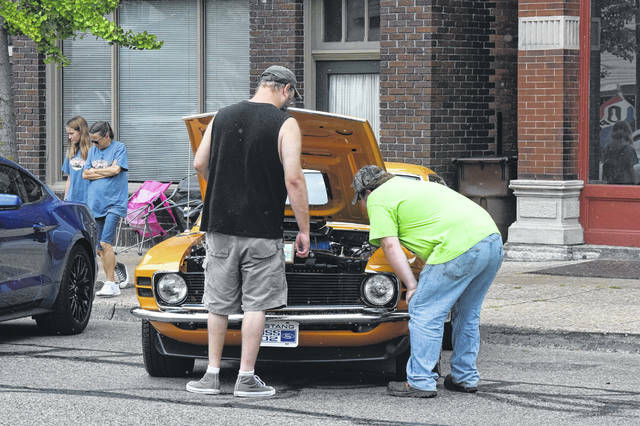 “I like how everybody gets together at the car show and talks like it used to be 50 years ago, when people would gather on the courthouse lawn, sit, talk, and watch cars cruise by. 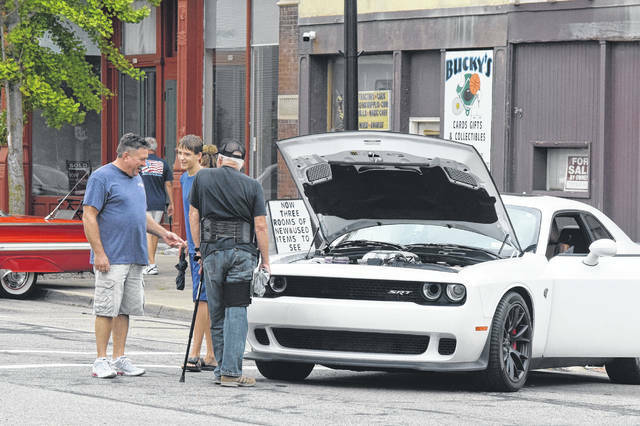 I think everybody realizes how important it is to keep downtown vital. 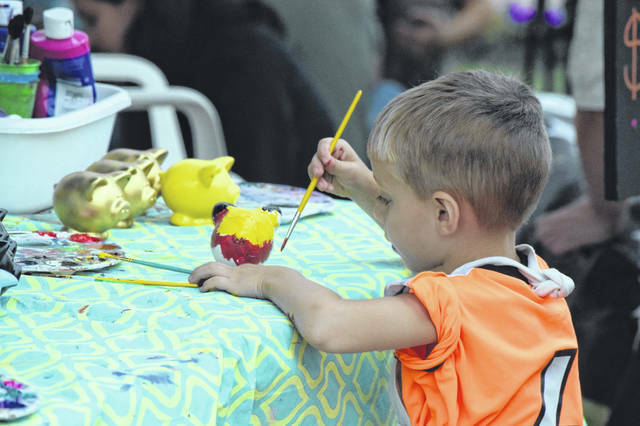 If we don’t do events like this and draw people downtown, then downtown is going to die. 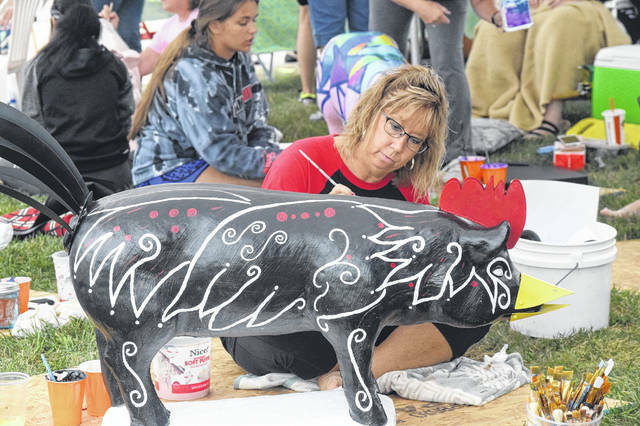 Miley added, special thanks goes out to all vendors, sponsors, and volunteers, including: LCNB, Signs N Stuff, HIT Foundation, Carter Cleaning, Barnes Funeral Home, Preble County Commissioners, and the City of Eaton. 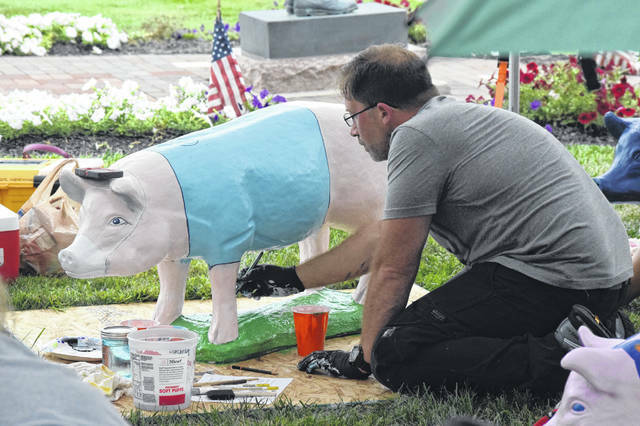 https://www.registerherald.com/wp-content/uploads/sites/41/2018/08/web1_Car3.jpgCars of all sorts lined Main Street, while participants in Oinkers for Art sat up on the Preble County Courthouse Lawn to paint their ceramic pigs. 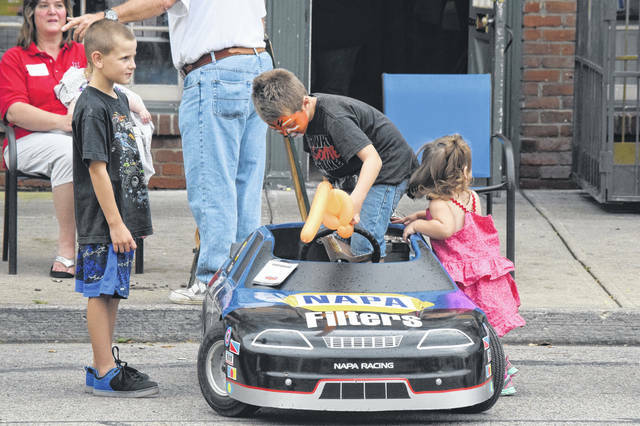 https://www.registerherald.com/wp-content/uploads/sites/41/2018/08/web1_Car14.jpgDowntown Eaton Inc. celebrated the 20th anniversary of the Old Fashioned Downtown Saturday Night on Saturday, Aug. 25.